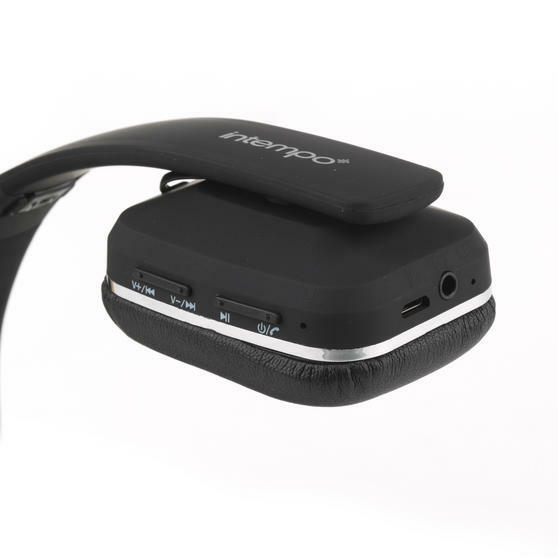 Perfect for the gym, running or simply for complimenting a busy lifestyle, these wireless Intempo Bluetooth headphones allow you to move freely while enjoying your favourite music. With a sleek folding design they are perfect for saving space in your luggage when you travel, while the side buttons enable you to change the track or volume with ease. The headphones are padded for extra comfort and even feature a built-in hands-free microphone so you can make and receive phone calls on the go. 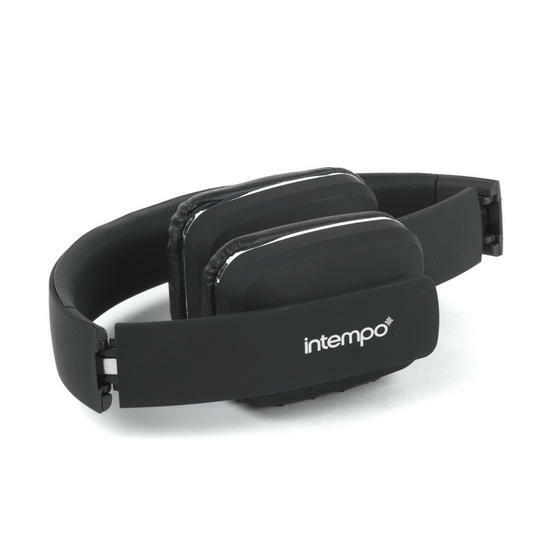 Stay motivated with the best music in the gym, at work or on the move throughout the day using these Intempo Bluetooth headphones. Featuring volume and track control buttons as well as a built-in microphone, you can enjoy hands-free phone calls wherever you are. Conveniently wireless, they have a built-in rechargeable battery with a charging cable included and up to 5 hours use from one charge. 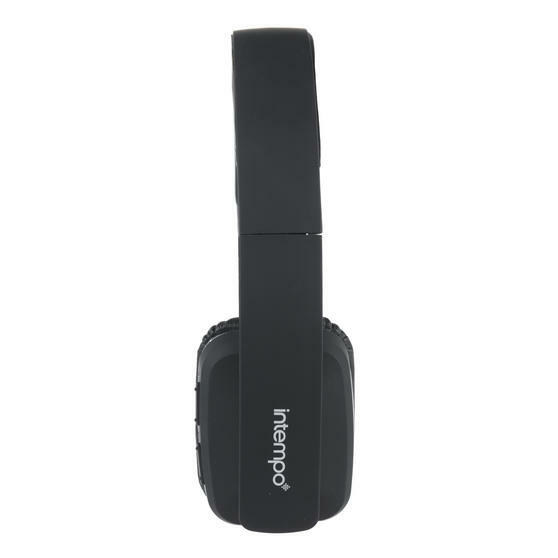 They come with removable a 3.5 mm stereo jack input cable measuring 1.2 metres long so you can connect to non-Bluetooth devices. 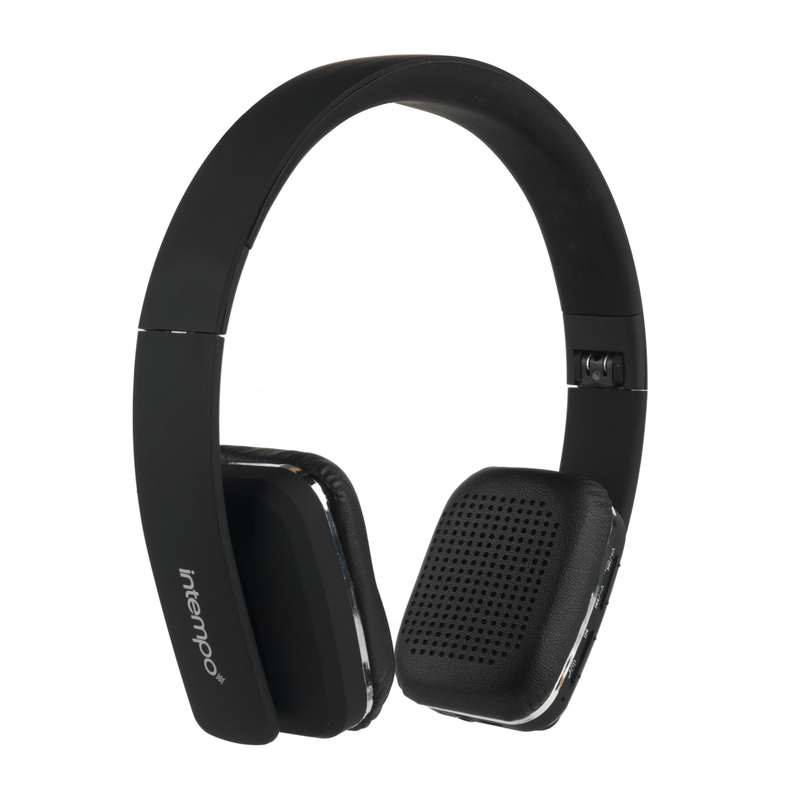 The headphones have a Bluetooth rage of 10 metres and fold up so they can be stored easily in a bag, making them perfect for travel.